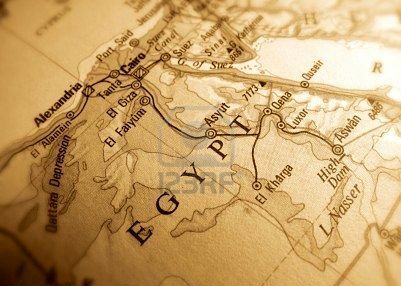 Geographically, the ancient Map of Egypt was divided between north and south, known as Lower and Upper Egypt respectively, and prior to the 1st Dynasty, these two regions were politically separate. Then, around 3100 BC, the country was unified, but the Egyptians continued to think of their country as consisting of these two major sections. . Even today, Egyptians make a distinction between Lower and Upper Egypt, though they also frequently refer to Middle Egypt as a region between the north and south. 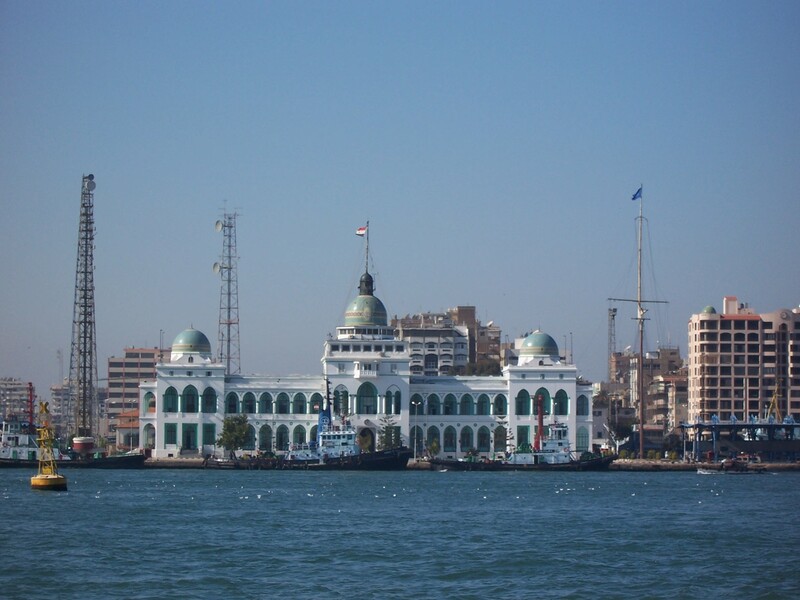 is the second largest city in Egypt; Alexandria has an atmosphere that is more Mediterranean than Middle Eastern. 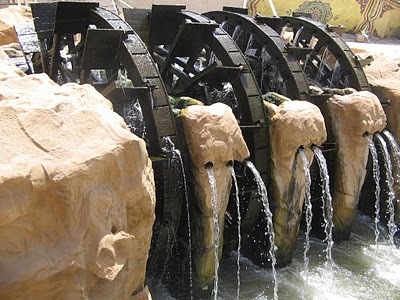 Its ambience and cultural heritage distance it from the rest of the country although it is actually only 225 km from Cairo. Founded by Alexander the Great in 331 BC, Alexandria became the capital of Greco-Roman Egypt. Its status as a beacon of culture symbolized by Pharos, the legendary lighthouse was one of the Seven Wonders of the World. Alexandria was also the center of learning in the ancient world. But ancient Alexandria declined, and when Napoleon landed, he found a sparsely populated fishing village. lies 290 km. west of Alexandria and 524 Km. from Cairo. It lies on a bay on the Mediterranean. The beach is famous for its white soft sands and calm transparent waters. For the bay is protected from the high seas by a series of rocks forming a natural wave-breaker, with a small opening to allow light vessels in. About 28 km. 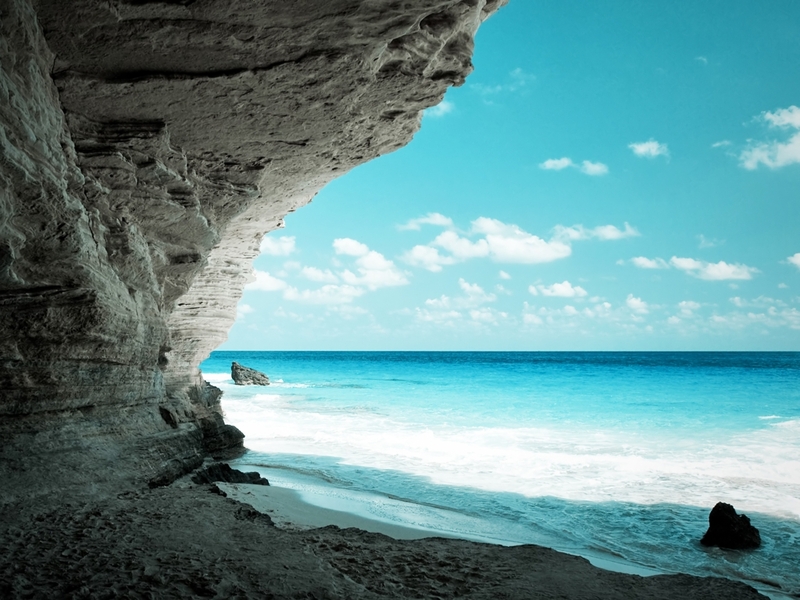 west of Mersa Matrouh, it is distinguished by its numerous natural caves and enchanting scenery. About 20 km. west of Mersa Matrouh beauty surpasses that of Mersa Matrouh beach. An ancient city discovered in 1985, it comprises temples, tombs baths and nobles' houses, from the Greco-Roman period. 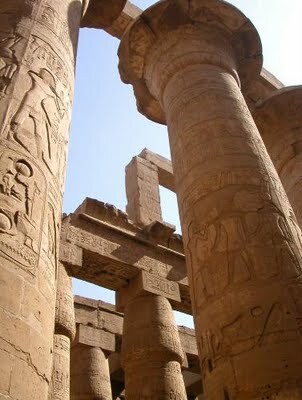 It is the largest archaeological city after Alexandria. So what does New York and Port Said, Egypt have in common? Originally, American's very own statue of Liberty was to be placed not in New York but at Port Said. The Statue of Liberty was really inspired by the huge statues at Abu Simbel. Auguste Bartholdi, the sculptor of the statue designed the American Lady of Liberty as 'Egypt carrying the light of Asia'. However, the Khedive Ismail decided that the project was too expensive, so the 'Light of Asia' was sent to the US instead, where she became the Statue of Liberty. is a city in the Red Sea Governorate of Egypt. It is a main tourist center and second largest city (after Suez) ...you can do it here: windsurfing, sailing, deep-sea fishing, swimming, but, above all, snorkeling and diving. The unique underwater gardens offshore are some of the finest in the world, justifiably famous amongst divers. The warm waters here are ideal for many varieties of rare fish and coral reefs, which may also be observed through glass bottom boats. This area has many fine accommodations, usually offering warm and efficient service. Restaurants are mostly along the main road. While in Hurghada, don't miss the museum and aquarium, with their complete collections of flora and fauna of the Red Sea. 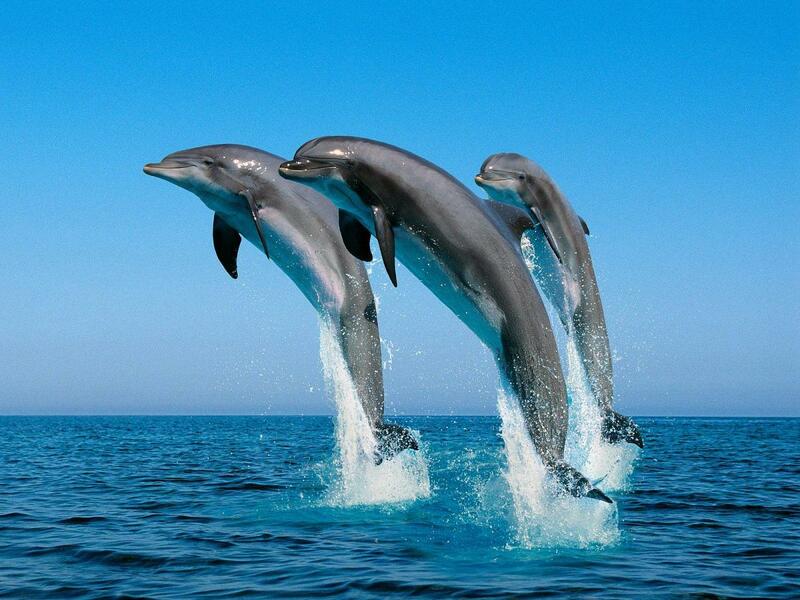 is one of the coastal city in the governorate of the Red Sea, 53 km southward Hurghada. The main economic resources of the city are driven from the phosphate mines and tourism. Safaga has also a marine port connected by a regular cruise shuttle service line with Jordan and Saudi Arabia. The city is famous for its clean atmosphere, black sand-dunes and mineral springs which have acquired specific characteristics for remedy of rheumatoid arthritis and psoriasis. Renowned for being an ideal place for windsurfing, Safaga hosted the 1993 World Windsurfing Championships. is a village with a small harbor and stone quay. It is the ideal base for a fishing holiday. The Dokki Shooting Club has a rest house here and can arrange deep sea fishing trips. Sharks, lobsters and turtles are among the catches. There are some fine offshore coral reefs and diving facilities are being developed. A nature reserve stretches from here to Gebel Elba in the south. 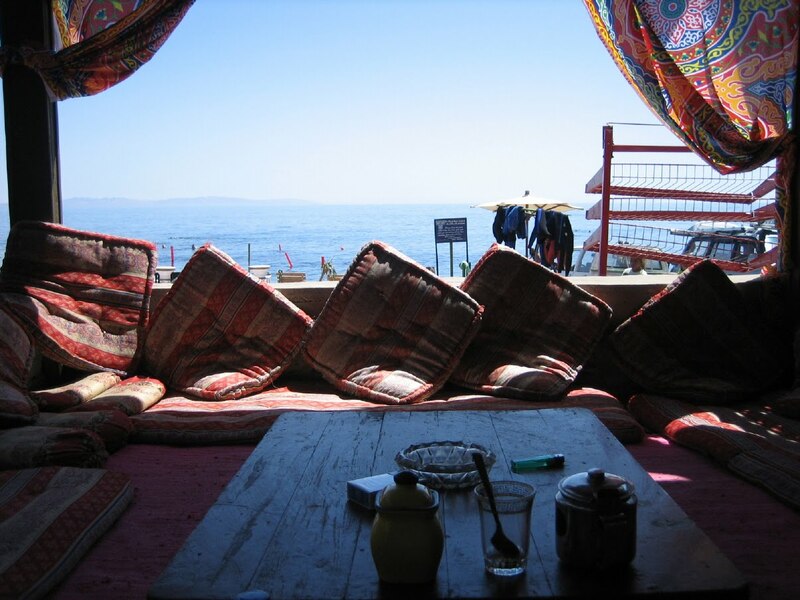 Dahab was originally a Bedouin fishing village that today is world-renowned for its windsurfing, because of the reliable winds that provide outstanding flat water conditions. However, there are many reefs immediately adjacent to the waterfront hotels, so scuba diving and snorkeling are also very popular sports, it is still small enough to get around by foot. 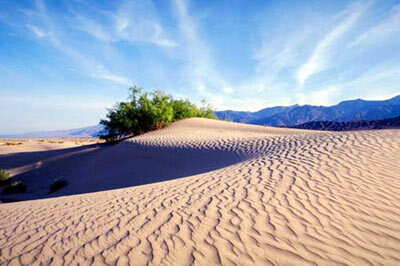 is a beautiful spot, a long stretch of golden sand. This is a great place for a picnic on the beach, being one of Dahabs most windy spots. Surrounding the Lagoon is the home to most of Dahabs 5 star resorts, and just inwards of the coast is the main administrative center for Dahab. 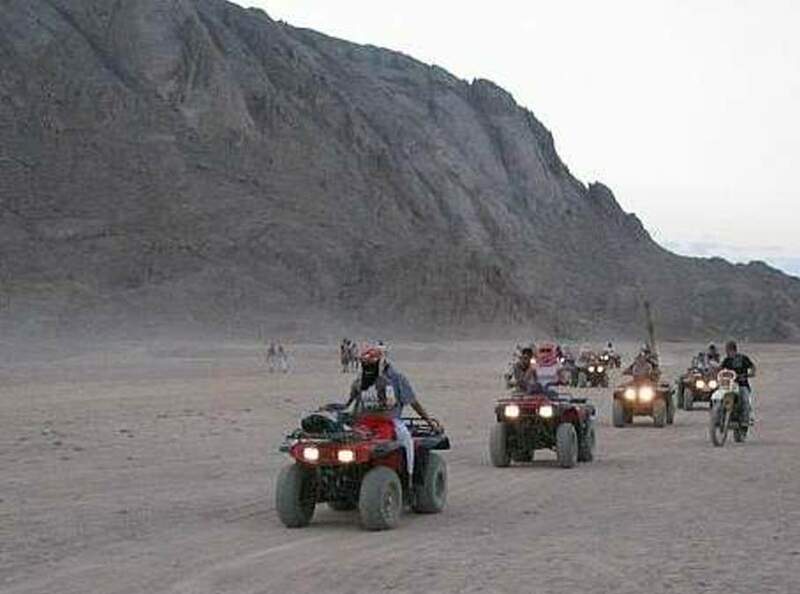 This is known as Dahab City which has many services and activities. These dive sites are not for inexperienced divers but there are several smaller and less frequented dive sites along the route offer the opportunity to dive away from the crowds. These are both famous Dahab dive sites due to the depth, with cave and arch diving possibilities and these dive sites are not for inexperienced divers but there are several smaller and less frequented dive sites along the route offer the opportunity to dive away from the crowds, also big hotel and holiday resort developments being planned in this area many are now complete. The Blue Hole Dive Site marks the end of the coastal road. 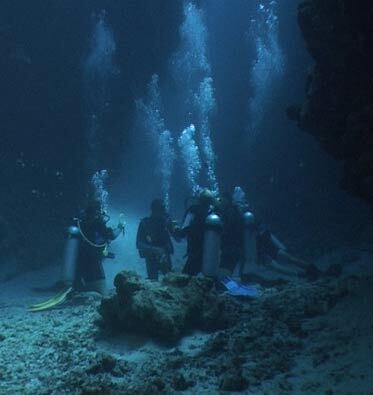 This impressive dive site is popular with snorkelers too and has a number of cafes. There is overnight accommodation available at El Bells few minutes walk from the blue hole, although not many people stay decide to stay in the area after dark. is the area of the original Bedouin village, which has started to become more developed. This is the part of town where you still see goats and camels roaming freely, traditional style houses, children playing and typical Bedouin lifestyles. The Eel Garden dive site is along this stretch and at the end of the beach walkway is where Sheikh Salem House is situated. The spot where our cafe is situated is one of the nicest views in Dahab, where two beautiful palm trees grace the beautiful mountains in the distance behind the canyon dive site. is a national park. From the Blue Hole starts a foot path that leads to the Ras Abu Galum, you will see many camels being prepared here for safaris. The route can also be walked from the Blue Hole in about one hour. The scenery on route is beautiful where the mountains and desert meet the reef and the varying colors of the sea. The road south of Dahab City takes you to the wadi gnay region. 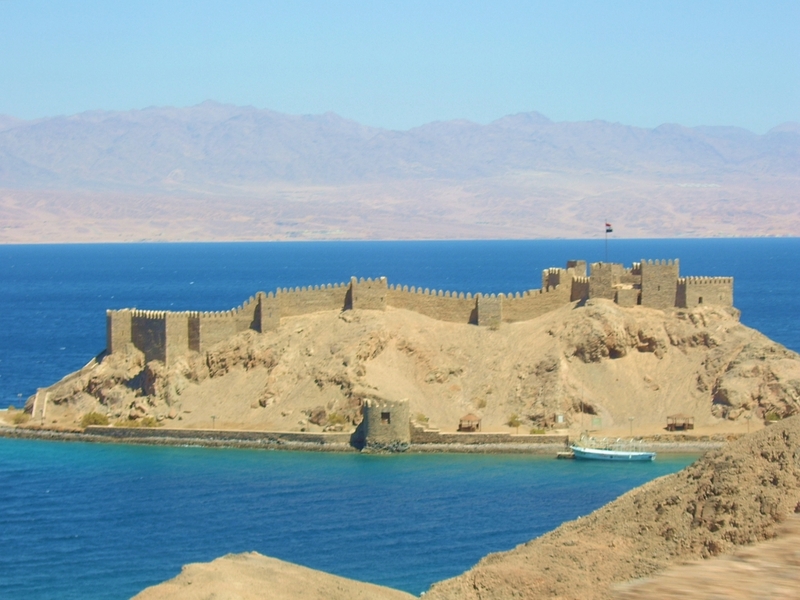 This less developed area just south of Dahab is great for diving, snorkeling, and for day or overnight trips. There are a few beach cafes and some lovely places to stay for a relaxing escape. From the 3 pools another footpath provides an excellent coastal walk eventually arriving at Gab El Bint. A camel can be taken from three pools, or it can be reached by boat from the lagoon pier. There is a small beach cafe that closes at sunset. ﻿is a paradise of deluxe holiday resorts﻿, and meeting of borders. It overlooks Jordan, Israel and Saudi Arabia. 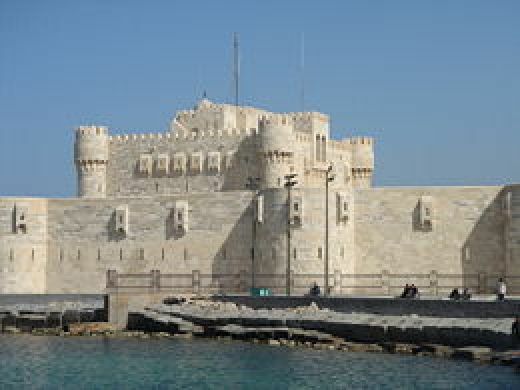 On an island also known as Coral Island or Gezirat Pharaon (Pharaoh's Island) the Salah el Din Castle, restored by the Egyptian Antique Organization, is located, and has good restaurants and beach cafes. The border can be crossed on foot, with bus service into Eilat. is the biggest in upper Egypt, Known for its Nubian past, also for being an important gateway into Africa and one of the favorite places for tourists to visit. It is a major mining area for aluminum and iron as well as being a major stop for the cruise boats, as most of the Nile cruises sails between Aswan and Luxor and vice versa, you can see the High Dam within a sailing trip. Aswan offers a very relaxing place to holiday, you will find the best types of fresh spices here. There are many islands within the middle of the Nile, close to central Aswan, which are often studded with tropical palm trees and offer an exotic feeling. 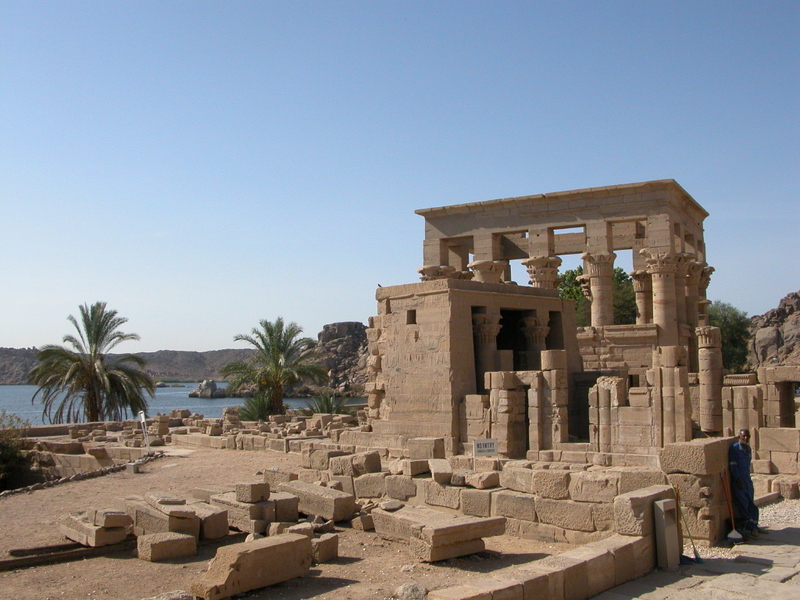 Elephantine Island is the biggest of these islands, and home to the Nubian villages. Located in Fayoum governorate, it's an important archeological site because of the presence of marine, fluvial and continental environment all in one area with fossils collection which returns back to 40 million years. It is very known as it is famous for the accommodation the world's only know population of endangered slender-horned gazelle. The Only place in the world where you can see the skeletons of families of archaic whales in their original geological and geographic settings.